Grrrrrls: We don't get these in the St. Lawrence River! 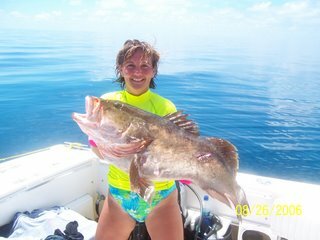 My friend Cathy just spent the weekend in the Bahamas (lucky grrrrrl)! 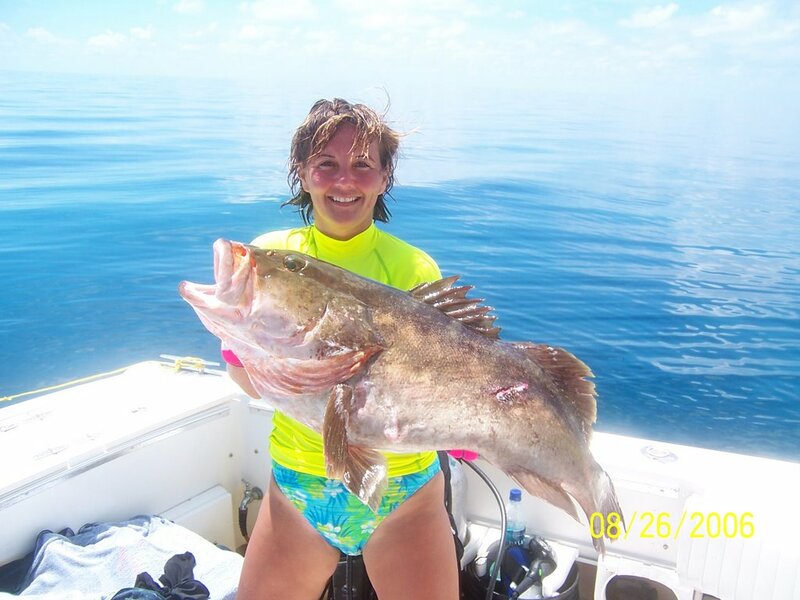 She spotted it while snorkeling, her friend Paul speared it, VOILA - 40 lb Nassau grouper for dinner - they served it blackened. Look at that water! I want to revisit the Bahamas.